This quest appeared for me after my husband and I were grinding mobs for Laughing Skull Orc reputation at Everbloom Wilds in Gorgrond. My husband later returned to his Garrison and it was also available to him. I am not sure if there is a reputation requirement tied to this or not but we only achieved Honored with Laughing Skull Orc's before taking a break and seeing this available to us both. "Jungle warfare is good for axe-play." Tsk tsk. The Scouting Missives for these areas are: Relatório de patrulha: Selva Floretérnia and Relatório de patrulha: Véu Anzu Perdido. You can pick these up from either Sargento Rastejo or Sargento Presatroz. 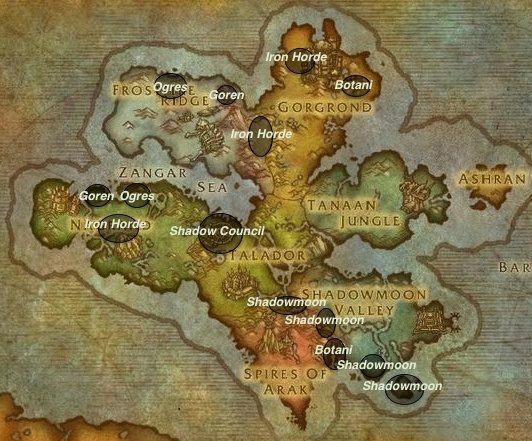 After killing the mobs in these areas or repeated completions, it will trigger the quest. Don't know about y'all but on 2 chars so far this week the invasion bugs when invasion npcs get stuck in building walls and can only be killed by proximity melee. This considerably slows down progress and makes it difficult to get platinum. Especially since some of the mobs need killing from inside the building and some from outside. Edit: In the horde Garrison, the alliance garrison seems fine. O ar está pesado. Me faz lembrar das batalhas no Vale da Selva do Espinhaço. Combate na selva é ideal para dar umas machadadas. Is this what a peon feels like? Chopping down trees and pruning unruly hedges all day? And I thought their job was a bore. Hah!